Written in collaboration with critically acclaimed NATIONAL BOOK AWARD finalist Patricia McCormick, Malala tells her story - from her childhood in the Swat Valley to the shooting, her recovery and new life in England. She's a girl who loves cricket, gossips with her best friends, and, on the day of the shooting, nearly overslept and missed an exam. A girl who saw women suddenly banned from public, schools blown up, the Taliban seize control, and her homeland descend into a state of fear and repression. 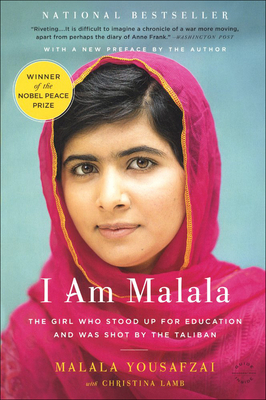 This is the story of her life, and also of her passionate belief in every child's right to education, her determination to make that a reality throughout the world, and her hope to inspire others.